I am a HUGE fan of Dan Barber, not just for his food, but his commitment to locavorism and sustainability. I love going to Stone Barns Harvest Festival every year and I’ve dined at both of Barber’s restaurants–Blue Hill in New York and Blue Hill at Stone Barns upstate. And since we’re being totally honest, I have some gorgeous phones of what we ate when we went there last (in August) and am still trying to formulate a review that’s complimentary to the restaurant but not biased obsessive stalker-like “you’re the greatest place ever”. Trust me, it’s a very fine line. So after discovering the recipe, from one of my chef idols, how could I not make it?! But of course, I had to make it my own. Here I am, my chef idol’s recipe right in front of me. It’s just so easy. Read the directions, follow them, and make amazing short ribs. But I can’t do that can I? I wouldn’t say I have that much trouble with authority. I was a good student, always did my homework. Never cut school (up to high school at least). Just sometimes, I think my way is better. Not saying I completely overhaul things, just make little tweaks here and there. So yes, I took a nearly chef god’s recipe and might have edited it a bit. Mostly I switched around the order a bit making it a two pot recipe rather than one. I knew that once I added crammed my short ribs into the pot, there was no way I’d be able to stir or mix anything. So instead I made the braise liquid separately, then added it to the short ribs, just before sticking the whole thing in the oven. The results were good. Crazy good. Sure, they didn’t taste as good as Dan Barber’s restaurant short ribs, but lets just say if I was forced to eat these every day for the rest of my life, I’d be a very (plump) content person. And in my defense, I’ve never made a restaurant recipe that turns out as good as it was at the actual restaurant. Perhaps it’s something about someone cooking for you? Or they add some chef fairy dust to the dishes to make everything taste super delicious. I’m leaning towards the latter. Preheat oven to 225°F. In a medium sauce pan, heat tamarind paste and water over low heat, breaking down piece of tamarind as it cooks. Once adequately broken down, add brown sugar, Worcestershire sauce, bay leave, sherry and wine. Bring to a boil. Stir in beef broth. Meanwhile, season the short ribs generously with salt and pepper. Heat a large heavy Dutch oven over medium high heat. Add the oil, then the short ribs (add them in batches, if necessary) and brown on all sides. Transfer the ribs to a plate as they finish browning. 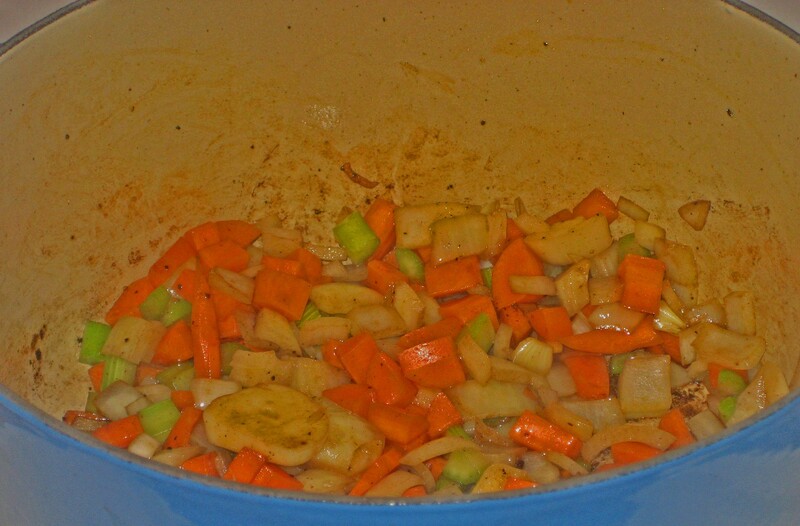 Add the onion, carrot, celery, and garlic to the pot, reduce the heat to medium, and cook until the vegetables are soft and all the browned bits in the base of the pot have been loosened. 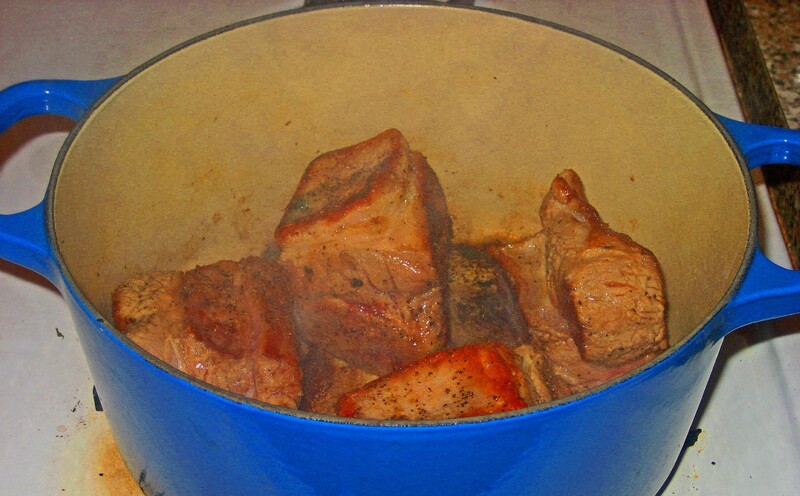 Return short ribs (and any juices that have collected on the plate) to the pot. Add in braising liquid. Add additional broth, if necessary, to make sure ribs are fully covered by liquid. Bring to a boil, cover and transfer to oven. Braise the short ribs until they are very tender when pierced with a fork, about 4 hours (longer if the short ribs are big). Turn oven off. Using a slotted spoon, transfer the short ribs to a baking dish. 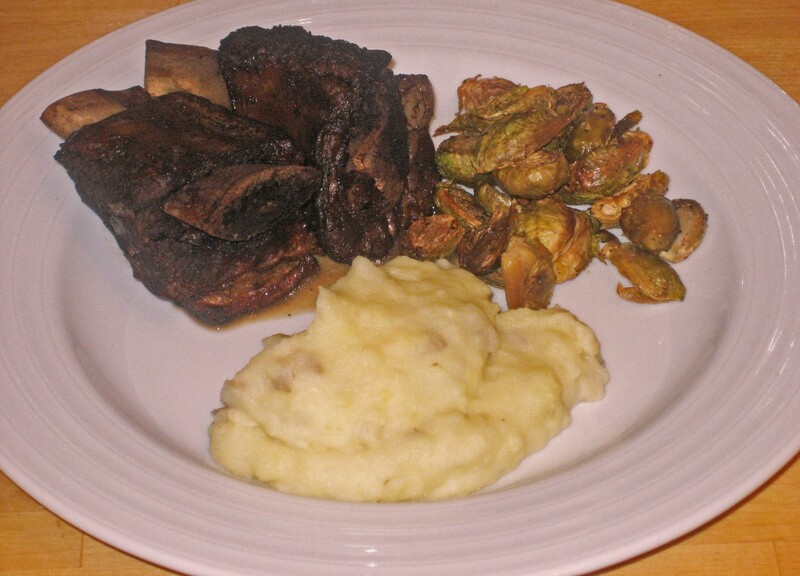 Keep short ribs warm in oven, not opening until ready to serve. Let the cooking liquid settle for about an hour. Spoon off as much fat as possible and strain cooking liquid into a smaller saucepan, discarding vegetables. Bring the cooking liquid to a boil over medium high heat and reduce to a syrupy consistency. Lay a short rib or two on each plate and spoon over a little sauce. Serve proudly.